Contents: online text, multiple-choice test, and chart. 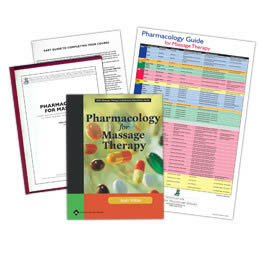 Already own the text Pharmacology for Massage Therapy? Call us at 1-800-364-5722, 9am to 5pm, to discuss your enrollment options. 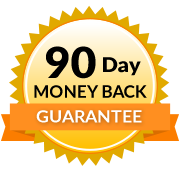 Describe the effects that massage therapy and strokes have on the various systems of the body and explain general cautions regarding drugs and massage. Derive a drug regimen assessment process for determining massage therapy treatment. Explain the fundamental principles of pharmacology including how drugs are named, how they are created, and what happens when a drug enters the body. Identify the properties of drugs that affect the autonomic nervous system and assess the implications for massage. Discuss the use of muscle relaxants for various conditions, and the implications for massage. Identify pain medications (perscription and OTC) and their properties and discuss implications for massage. Idenify cardiovascular drugs and discuss implications for massage. to address the hematologic system and their implications for massage. to improve the respiratory system and their implicatons for massage. to improve the gastrointestinal system and their implications for massage. asanti infective drugs and implications for massage. 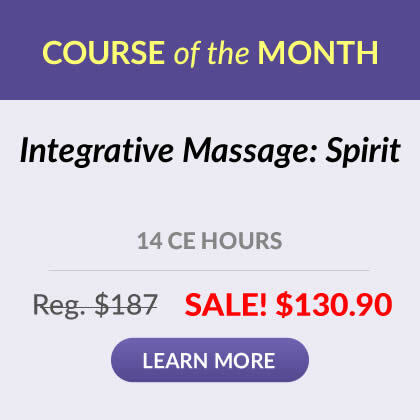 for immune and inflammatory responses and implications for massage. for psychiatric and sleep disorders and implications for massage. for the endocrine system and implications for massage. for cancer and the implications for massage. Participant will be able to discuss the use of alternative medicine (including herbs and supplements) and their implications for massage.